New Year's Eve parties are happening this weekend, most of them full of shiny golds and silvers, glitter and sequins, confetti and all things sparkly. It's a time to get excited about looking forward to all the possibilities of a brand new year. Your wedding reception is similar in that it's a time to celebrate your new marriage and looking forward to all of the possibilities of your brand new life together as husband and wife. 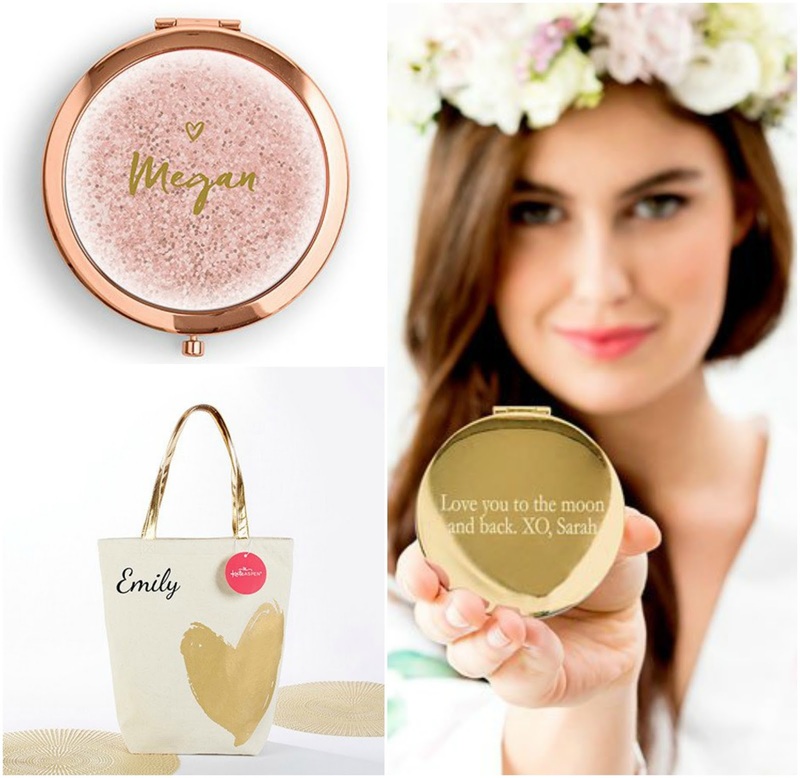 If you're the type of person that loves all things glitzy, then WhereBridesGo.com has the perfect wedding accessories online to make your reception the brightest and best party of the year! Wedding reception decorations in metallic colors and shiny glitter can give your party a very exciting and festive feel. It seems to put people in a celebratory type of mood. 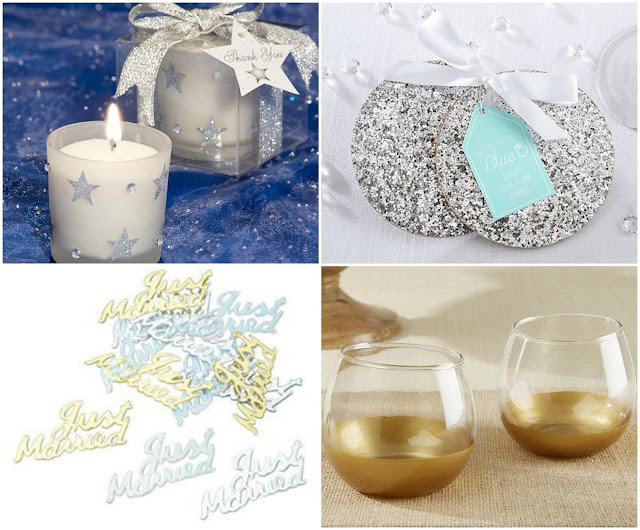 There are lots of places to tastefully add these accents that will make your wedding reception absolutely incredible. 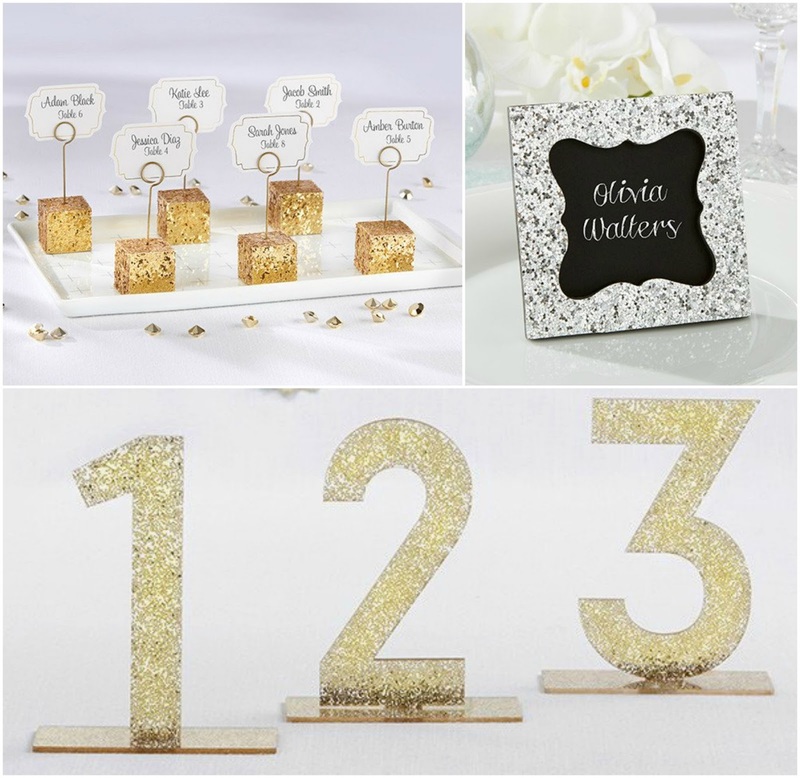 The table decorations are a great opportunity to use this sparkly theme. Candle holders, drink coasters, table numbers, and even the place card holders look amazing and really stand out. These can be combined with a pop of your favorite color added in here and there, or as a solid background like for the tablecloth. Going with all white or all black can look incredible too. Add in a few sprinkles of confetti and you've get an impressive table. Don't forget to make the head table extra special. The decorations for where you and your wedding party will sit should match the rest of the room, but with a little bit of something extra. 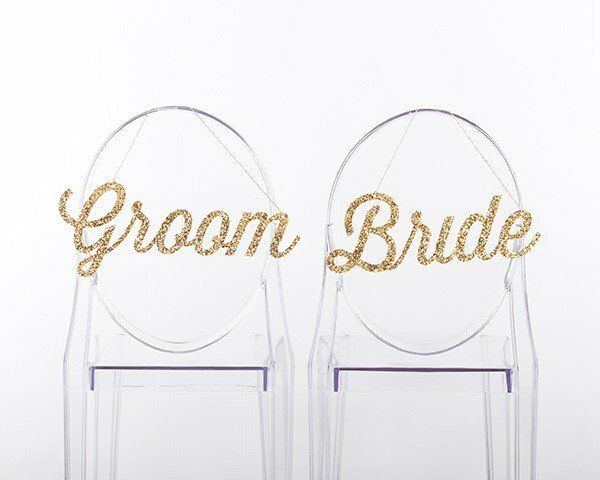 Use glittery glasses for toasting, maybe some large metallic chargers under the plates, and don't miss out on decorating the chairs too. You can bring your shiny theme to the cake table as well. The wedding cake topper is always an excellent place to get creative, and you can even bring some sparkle to the utensils you will be using to cut and serve dessert. The favors are a perfect way to send your wedding guests home with a bit of sparkle to keep and remember this amazing celebration by. 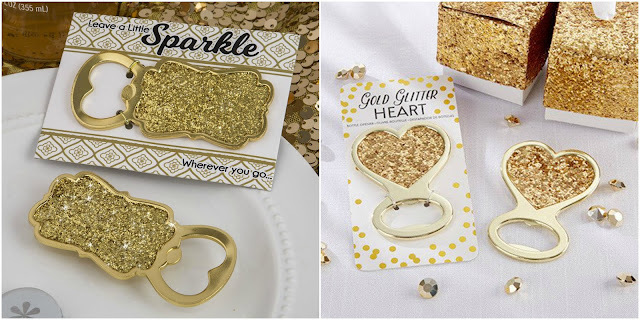 Just like the card states on our Golden Elegance Bottle Opener Favor, each guest can "Leave a little sparkle wherever you go..." If you decide to use a shiny mini picture frame for place cards, those also double as wonderful favors. You may want to do something a little more special for your wedding party. 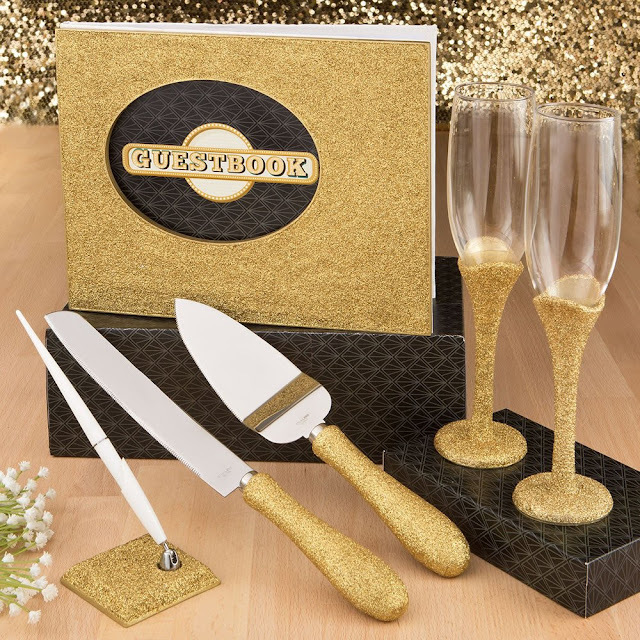 Many of our groomsmen and bridesmaid gifts have the additional option of personalizing each gift at no extra cost. You can add their name or a heartfelt message to let them know how thankful you are that they shared in your very special day. This is just one possibility among many that you will find at WhereBridesGo.com for all or your wedding needs. 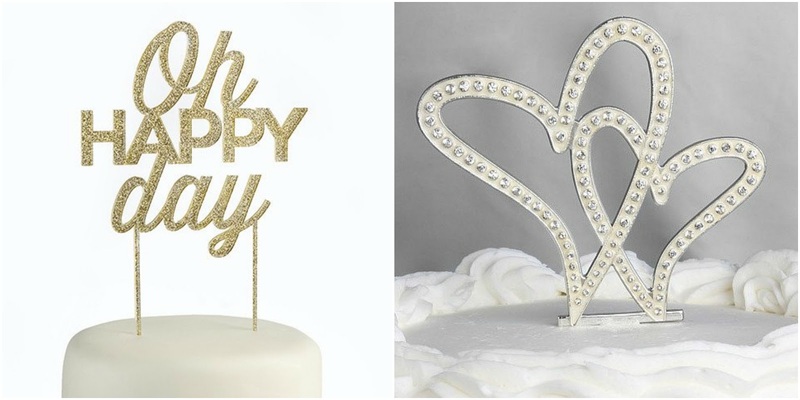 You will discover a wide variety of styles, colors, themes, and more when you browse through our online wedding accessory store. In addition to everything that you'll need to decorate your reception, we also carry ceremony items and gifts for everyone in your wedding party, including the bride and groom. WhereBridesGo.com should be your first stop for wedding planning, because after all, it is "Where brides go... for what brides love!"